Stunning meticulously maintained 3 bedroom, 2 bath home in the desirable community of Fawn Ridge (no CDD fees). Located on a premium CONSERVATION homesite. The very OPEN floor plan (showing larger than the actual square footage) features upgrades such as: fireplace in the Family Room, wood look plank porcelain tile throughout (no carpet), as well as a perfect 2 way split plan and a separate formal dining room. This beautiful home boasts such architectural features as volume ceiling, skylights, columns, arches and so much more. Major upgrades and replacements include new A/C (2012), roof (2010) and granite in the kitchen and bathrooms. A huge gourmet eat in kitchen with island and breakfast nook leads into a large screened room overlooking the scenic wooded conservation lot with creek (totally fenced in). 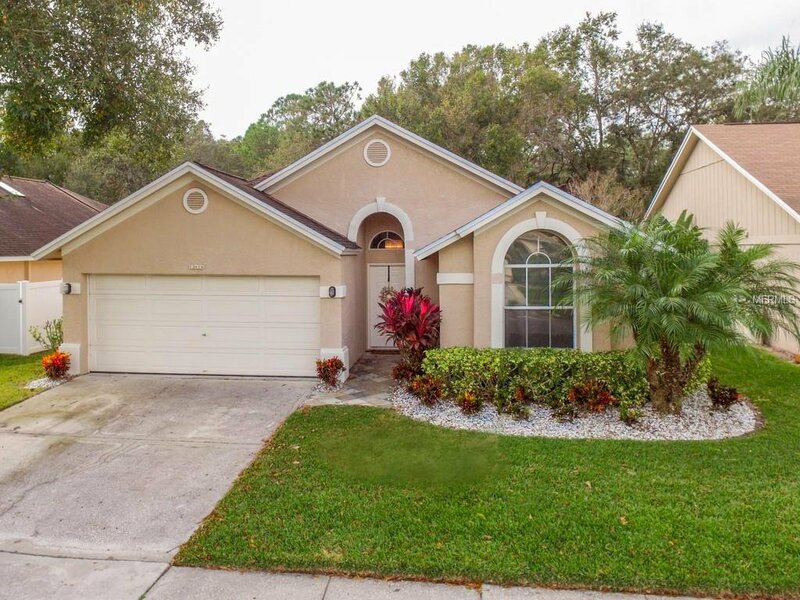 Fawn Ridge is a beautiful community with amenities that include a playground, park, tennis and basketball courts, plus conveniently located to the Veterans Expressway, Citrus Park mall, Tampa International Airport and downtown. This is a must see...Truly Florida Living at its Best! Listing courtesy of FLORIDA EXECUTIVE REALTY. Selling Office: KELLER WILLIAMS REALTY.